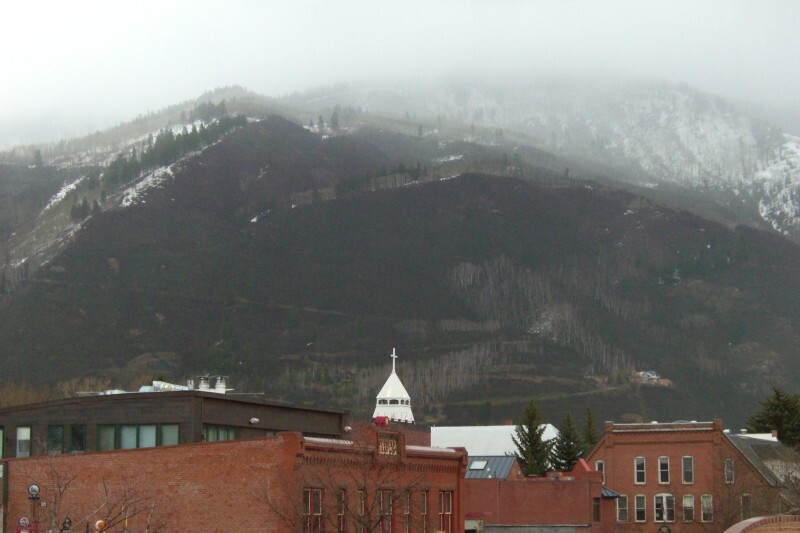 St. Mary's Church, City Hall, with late spring snow and cloud on Smuggler Mtn. 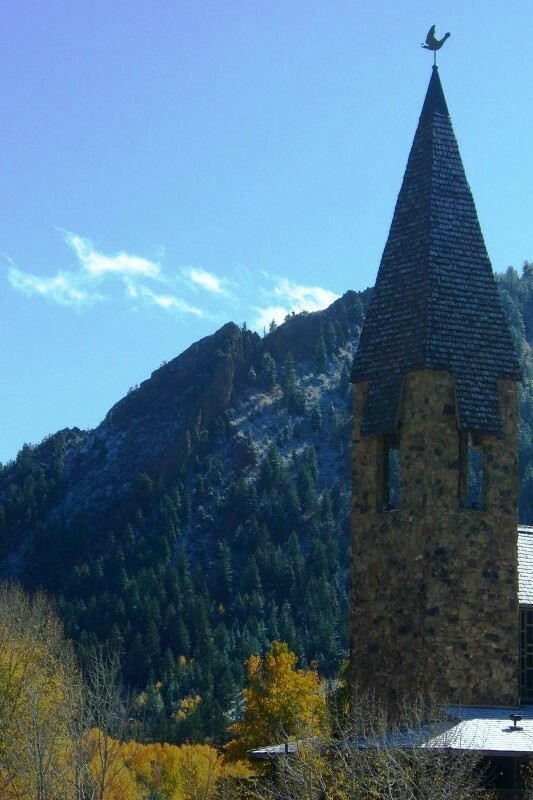 Continuing the theme with churches and mountains… This late spring snow and cloud hanging on Smuggler Mountain provide a good backdrop for the bell tower and steeple of St. Mary’s Catholic Church, on Main Street in Aspen, and City Hall (at the far right). Smuggler Mountain houses an active mine, former superfund site, as well as one of the most well-traveled hiking paths in town. 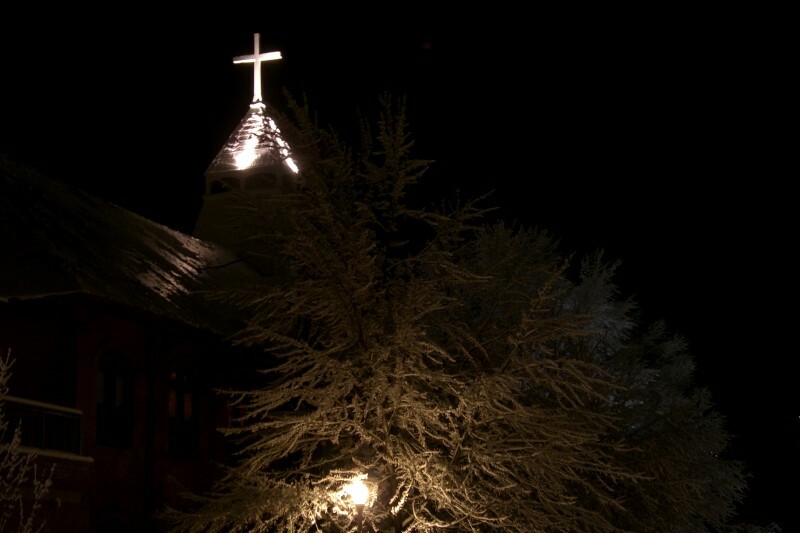 The Aspen Chapel is one of the first picturesque buildings you see as you come into Aspen, right at the roundabout. It’s located such that there are great mountain backdrops in every direction, when photographing it. This particular view shows Shadow Mountain in the background; the front of which is part of Aspen Mountain ski area, and the Trainor’s double-black ski runs. There was good contrast provided by the fall colors and one of our first snows of the season. This was taken the same day as my earlier “Snow Is Coming” photo.